The Strategic Partners Acquisition Readiness Contract (SPARC) is a cost-effective, innovative solution for procuring information technology (IT) professional services from a pool of CMS experienced partners. 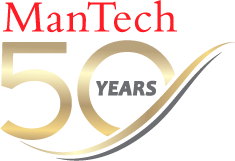 ManTech is a Prime contract holder under SPARC’s Large business category. The purpose of this contract is to provide strategic, technical, and program management guidance and support services, to facilitate the modernization of CMS business processes and supporting systems. SPARC is an IDIQ contract vehicle that provides a refined pool of highly qualified partners. Work will be detailed in individual task orders. Task orders are then competed amongst the partners. By using these pre-qualified partners, the SPARC procurement timeline is shortened and more flexible compared to a full and open competition. Customers have the additional advantages of reduced paperwork, cost-effective rates, and competitive bids on each task order solicited. To use SPARC, CMS customers should reach out to their respective Office of Acquisitions and Grant Management (OAGM) counterparts (Contracting Officer-CO, Contract Specialist-CS) and HHS Operational Divisions should contact their respective contract shop.